Deadmau5 Mobile | Pilchner Schoustal International Inc. 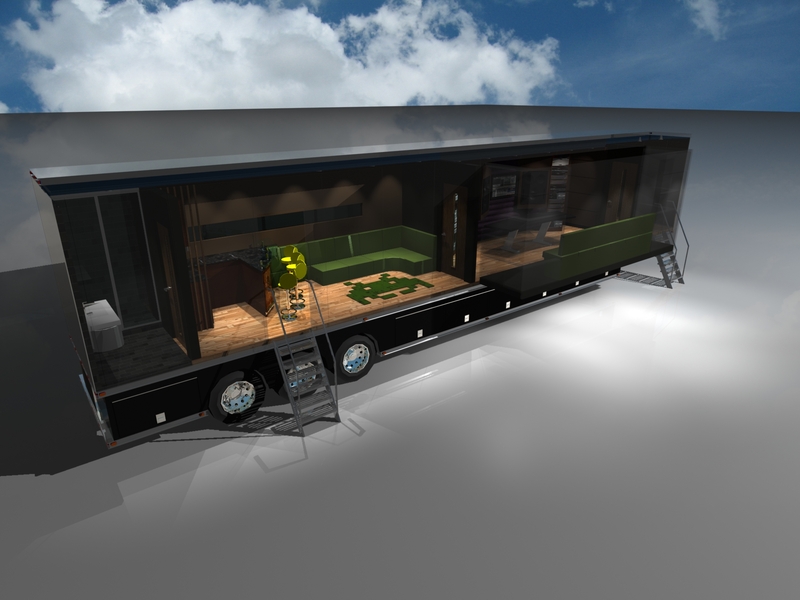 These renderings show the concept of a mobile production environment being considered by artist Deadmau5. The idea is to develop a self contained electronic music production environment that could follow the artist throughout North America and Europe. The studio is housed in a 50 foot semi-trailer with all services and amenities built-in. The control room/ studio would be built in sound isolated pull-out section providing a reasonably large work area and plenty of room for equipment. 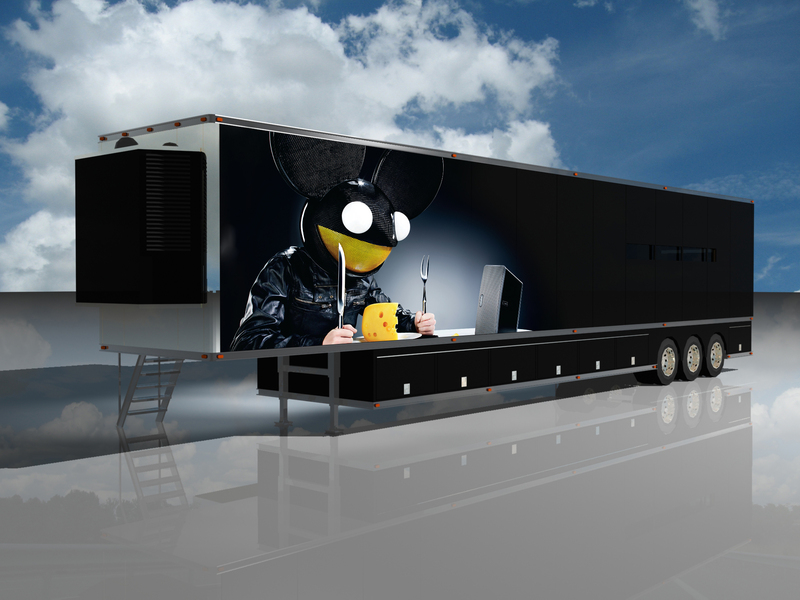 A tri-caster system would be installed to allow for live streaming of production work as is the norm for Deadmau5, with the idea this would be possible anywhere the artist goes. 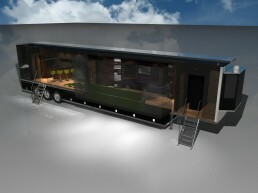 The unit also features an artist lounge, kitchen and washroom area with shower. 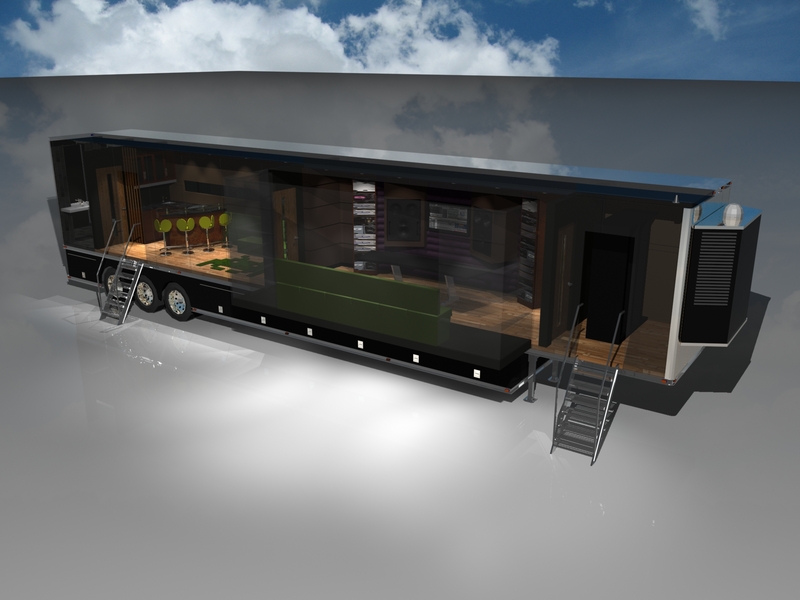 The secondary pull out expands the lounge area which also doubles as extra edit space. Power systems include onboard generation as well as power switching and conditioning for both American and European standards.